Mazda Repair in Orlando | C & G Auto Center Inc.
Orlando, Davenport, and Winter Park automobile drivers come to C & G Auto Center when they're in need of Mazda services. Whether the auto repairs necessary are big or small, our team of auto mechanics and customer service advisors are capable of getting the job done right the first time. Our team has many years of experience doing Mazda auto repairs so you can be sure that we’ll have you back on the roads in a secure car in no time. 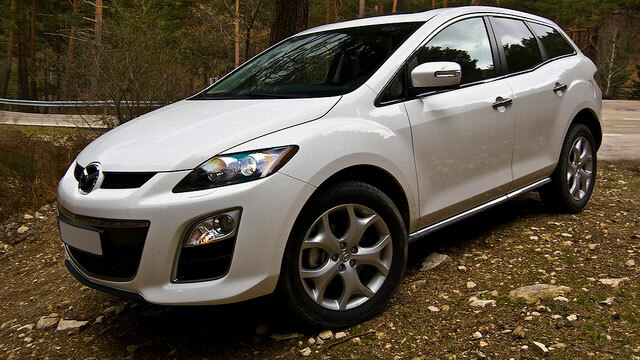 Let the knowledgeable team at C & G Auto Center give you premier Mazda auto repair services. Clients decide to remain with us for the long run because we demonstrated time and time again that we have first-rate skills when it comes to auto repair inspections and maintenance. We do courtesy digital inspections for no cost because we feel it’s so important to let people know exactly what the issues are with their car. Whether you come to C & G Auto Center for Mazda service or other auto repair work, the aim is to keep you educated and safe. “The service I received was SUPERB! I've recommended them to all my friends and family. My baby (car) is running Great!! Thanks for your hospitality, and your service.Most importantly thanks for not taking advantage of me. A lot of these car shops prey on their customers. Even though I have only been there a few times, your shop has never done that to me. I appreciate your honesty, i sure appreciate you making my baby (car) feel better again!! !” -- Janet C.
C & G Auto Center is committed to providing car owners in and around the Orlando, Davenport, and Winter Park areas with top-notch auto repair and customer service. Please contact us for Mazda work, schedule an appointment online, or visit us at 4155 W Oak Ridge Road in Orlando. Clients rely on our team of adept auto mechanics to offer services that are unrivaled by the competition. We look forward to giving your Mazda leading services so you can get back on the road feeling secure.